Expert in Immigration and international protection law, since 2011 she is the President of Programma integra. Graduated in Political Science at La Sapienza University of Rome, since 2003 she operates in the field of migrations and asylum. From 2005 to 2007 she was a legal adviser in the field of Immigration and international protection law at the Italian mission of Doctors Without Borders. 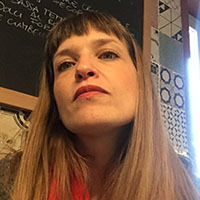 In 2007 she started to collaborate with Programma integra initially in the legal sector and subsequently in the project planning and communication area. She is a speaker at national and European seminars on topics of migration and asylum and she carries out training activities on the same topics. Graduated in Economics, he has a ten-year experience in accountability of European, national, regional and local projects. 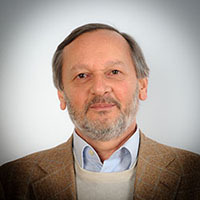 He is the founding partner of Programma integra where he is in charge of the administration and accountability in European and national projects, and technical assistance for SPRAR projects of Rome City Council. Graduated in Relations and international Politics in 2011, in 2014 she was awarded a Master Degree level I in Religions and cultural mediation at La Sapienza University of Rome. Since 2004 she has been working at Programma integra in the administrative area where she is responsible for human resources and accountability of national and European projects. 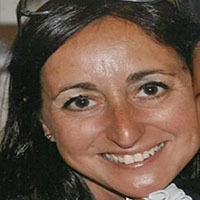 Graduated in Community Management, she began her working experience in 1990 in a society of European project planning. Since 2007 she has been working at Programma integra looking after administration, accounting and projects accountability. Since 2011 she is in charge of the administrative Area and human resources management. Graduated in cultural anthropology at La Sapienza University of Rome, she was awarded a Master Degree in Management, communication and finance of no-profit organizations at the Faculty of Economics of Tor Vergata University. She has been dealing with immigration and social issues for more than 10 years. Since 2007 she has been working at Programma integra. Since 2011 she is in charge of the Project planning and communication Area. She is a trainer since 2012 and she is the contact person of the ideation and development of training proposals aimed at the social professionals. 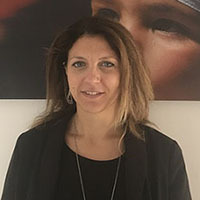 Graduated in cultural anthropology at La Sapienza University of Rome, she was awarded a Master Degree level II at Roma Tre University in Cultural Mediation and a Master of PNL (neurolinguistics programme) at the PNL Meta Institute in Bologna. For several years she has been in charge of coordinating social inclusion projects aimed at foreign citizens both minors and adults. Since 2017 she coordinates the socio-educational Area for Programma integra. She has built her education in the social tourism sector. She has worked with Università Popolare (UPTER) coordinating training courses and organizing events. Alongside her work commitments, she has always cultivated a passion for performing as an actress and a singer. 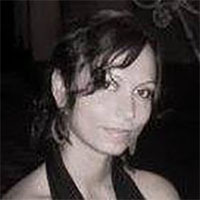 Since 2008 she has been working at Programma integra as operator in communication and integration services. 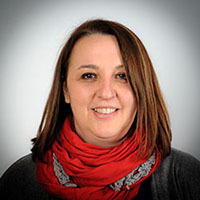 She is a web editor, organisational contact person of Italian language and VET training courses, coordinator of intercultural mediation projects and contact person for the Public Register of the Intercultural Mediators of Rome City Council. 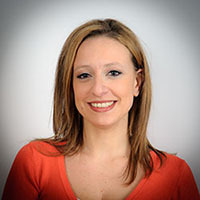 Graduated in Political Science: international Relations at the Aldo Moro University of Bari, between 2012 and 2013 she attended a Master level II in Politics and cultural mediation at Roma Tre University. Paperwork and knowledge for a new citizenship. From 2013 she has been working at Programma integra in the Project planning and communication Area as a web editor and project manager. Graduated in Development Cooperation, she is specialized in International Politics and Relations, with a Master Degree in Advanced training for international functions. 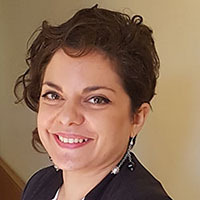 Following experiences in development and decentralised cooperation, since 2010 she has been working at the European project planning in the social sector. 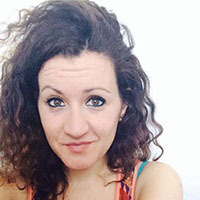 Since 2014 she has been working in the Project planning and communication Area of Programma integra as a project manager and a researcher on the topics of social inclusion and migration. Since 2011 she is also a trainer in European project planning. Expert in international protection, immigration law, citizenship rights and intercultural relations, she has been operating in the Third sector since 1997. Since 2004 she is in charge of the social and legal service of Programma integra aimed at seekers and holders of international protection and immigrants. 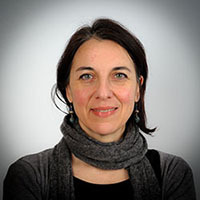 Graduated in Political Science international Relations at La Sapienza University of Rome, she has a Master Degree in Gestalt Counselling obtained at the AISPC- European High School of Professional Counselling. 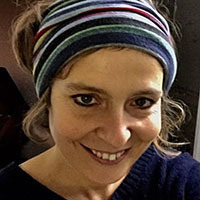 From 1995 to 2006 she worked as a socio legal consultant for the Italian Refugee Council and coordinated the Reception Service for asylum seekers at the maritime and airport border of Venice and Marghera. From 2011 and 2017 at Programma integra she managed the Counselling Service for refugees and migrants, she is currently acting as a legal consultant at the Immigration office of Rome city council. Graduated in Political Science in 2006 in Pisa, she was awarded a Master Degree in International defence of human rights at La Sapienza University of Rome in 2009. She has been dealing with migrants and refugees since 2009, she has worked as a legal operator and as a trainer on topics of non- discrimination, equal opportunities, human rights. Since 2013 she is the contact person of Programma integra of the job orientation service. She also runs trainings on job orientation for social professionals, for migrant citizens and foreign minors as well as for companies on the topics of diversity management. 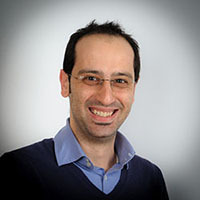 Graduated in Sociology at La Sapienza University of Rome, he has worked for several years in managing and administration of health care structures. Since 2012 he has been operating in services of assistance and support, initially at reception facilities for unaccompanied foreign minors, subsequently at Programma integra in which he looks after the administrative management within European projects and he is in charge of the social mediation service in the field of housing.